I love Holidays. To me getting to spend time with my family, decorate and give gifts is special!! Halloween is terrific because we get to dress up, decorate and just have fun. Another cool thing about Halloween is all the fun candy and treats!! General Mills comes out with their Halloween cereals and they are yummy!! You can get either Boo Berry, Franken Berry or Count Chocula. Calling all ghosts, goblins and ghouls! 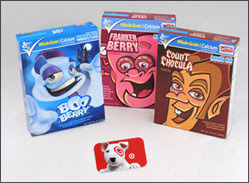 Your favorite monsters are haunting the cereal aisles of Target stores for a limited-time* only, including Count Chocula®, Boo Berry® and Franken Berry®. For more than 40 years General Mills Big G Monster Cereals, have been a playful and delicious tradition enjoyed by kids and adults all over the country during Halloween. Make this Halloween spooktacular with these monster-themed cereals. They are sure to help conjure memories of the gh’oul times, so head into your local Target store to stock up on these breakfast options before they’re all gobbled up! I was sent a box of each cereal. I have had them in the past, but this was the first time that the boys got to try them!! So far Boo Berry is their all time favorite, but they wolfed down the others too!! Boo Berry tastes very similar to blue berries (duh!!) and as a large assortment of marshmallows in it!!! Franken Berry tastes like strawberries, and again has a large amount of marshmallows!! Count Chocula is my personal favorite. I have a wicked bad sweet tooth when it comes to chocolate, and this cereal fills that need!!! Large amount of marshmallows and chocolaty goodness is just the right mix!!! For a very limited time, you can find all three cereals at Target!!! One lucky reader is going to win one box of each cereal, and a $20 Target gift card to get even more!!!! 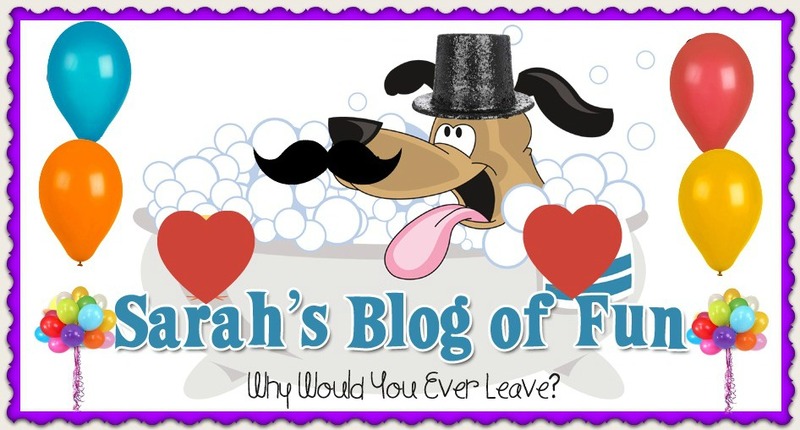 Enter below using the rafflecopter, and thank you to General Mills and Target through MyBlogSpark for this terrific giveaway. Count Chocula is my favorite monster because I love his cereal. I don't like scary characters. Childish, yes, I know. But I don't see Boo, Franken, or Count Chocula as scary. And Franken Berry is my favorite. Franken Berry is my favorite monster cereal. I always try to stock up so I can enjoy it for several months. If Stay-Puft Marshamllow counts then him first. If not, Dracula. Boo Berry is my favorite. Samara from The Ring is scary as hack. Count Chocula is my favorite cereal. Captain Spaulding from house of 1000 corpses. Count Dracula is my favorite scary character. I love count chocula. Thanks! My favorite scary character would be Freddy, Jason and Chucky. I cannot pick just one LOL. Count chocula is my favorite. My favorite scary character is the Tyrant from the Resident evil games. Not sure what my favorite cereal is yet because I don't remember ever trying these ones before. Boo Berry is my favorite cereal. Count Chocula is my favorite !!! i have been craving it all week long! My favorite is Boo Berry! Thanks for the chance. My favorite scary character is The Count on Count Chocula! I like the Count Chocula - Thanks! My favorite scary character is Dracula! Pennywise from IT. Thanks for this giveaway! Count Chocula is my fave. monster cereal. Thanks again.